This was okay. I think my peers' reviews built this up to be funnier than I found it in the end. Green's dialogue is always interesting, but comparison to The Fault in Our Stars is a thief to this book's impact, for me. Sherryl Jordan was way ahead of her time. 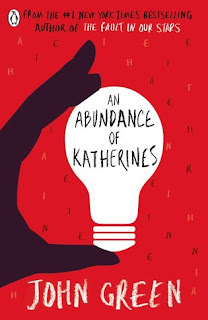 I find her YA stories so engaging and relevant still -- they capture the self-searching uncertainty of adolescence so well. 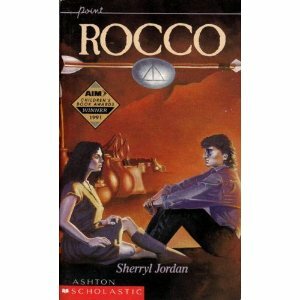 Well-paced, tame sensuality (though there's some there), and characters I cared a great deal about (the villains too). I relish the fable-feel of Jordan's narratives, though I know they're not for everyone. This one isn't nearly as dated as some of her others, since the protagonist spends a lot of time in a primitive setting (and side note: I think she writes a male protag really well!). I knew from Bardugo's heist dualogy the woman could write. That said, I felt a little dark after I read those books. I procrastinated reading the Grisha trilogy for that reason. My library didn't seem to hold the first book (Shadow and Bone), but then I pieced together that another book they held by her, The Gathering Dark ,was the same book with a different title. I began, and whipped through all three. I thoroughly enjoyed this series, for different reasons than Six of Crows. I wasn't so swept away by the writing as I was by the romance. I was disappointed that there was a strong suggestion that power is gained through killing (even for the heroine). I thought the complexity of the villains was excellent. There is some violence and sensuality, those neither are excessive. These are a great YA-stepping stone towards the sophisticated magic systems of Trudi Canavan. 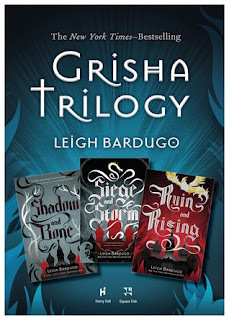 I will read anything Bardugo writes. In fact, I'm reading a collection of short stories (The Language of Thorns) that includes some tales set in the Grishaverse presently...review coming!